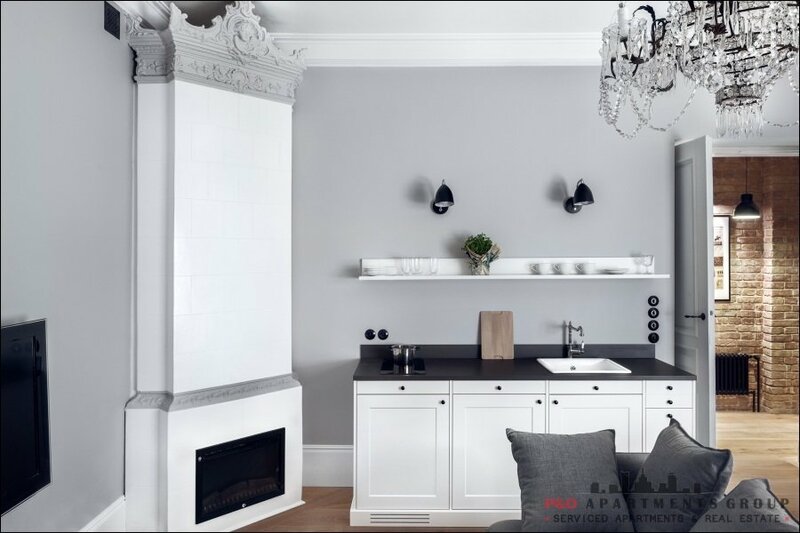 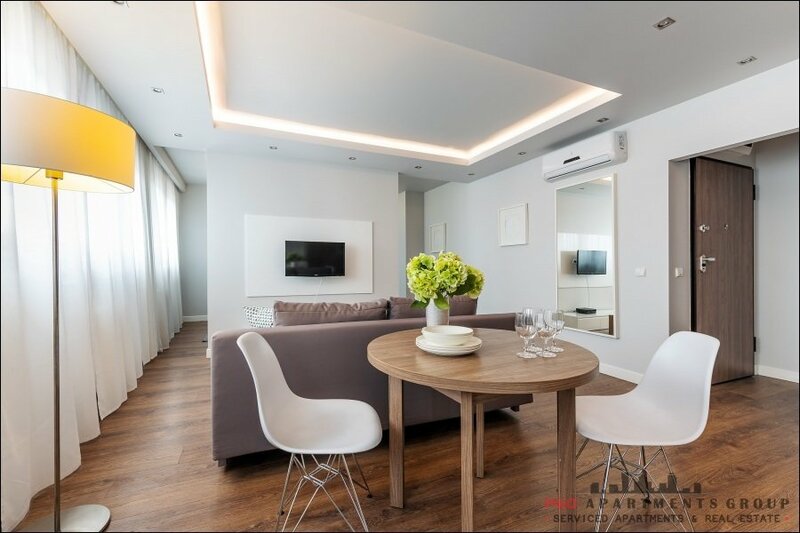 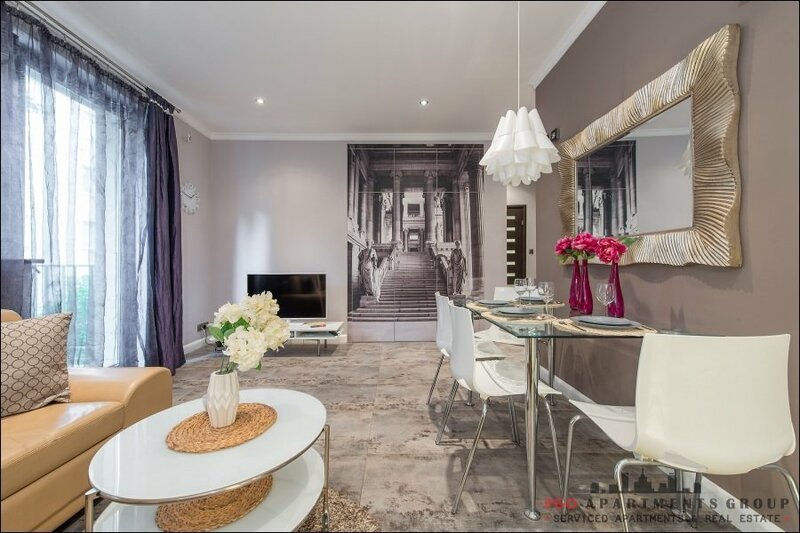 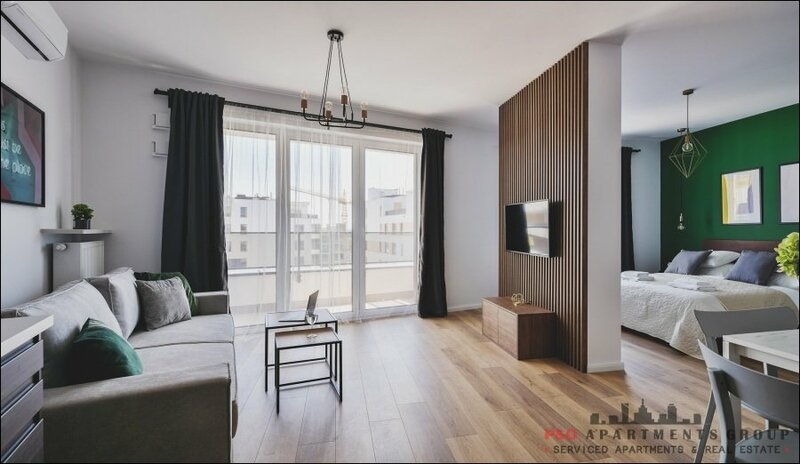 Elegant apartment of 52m2. 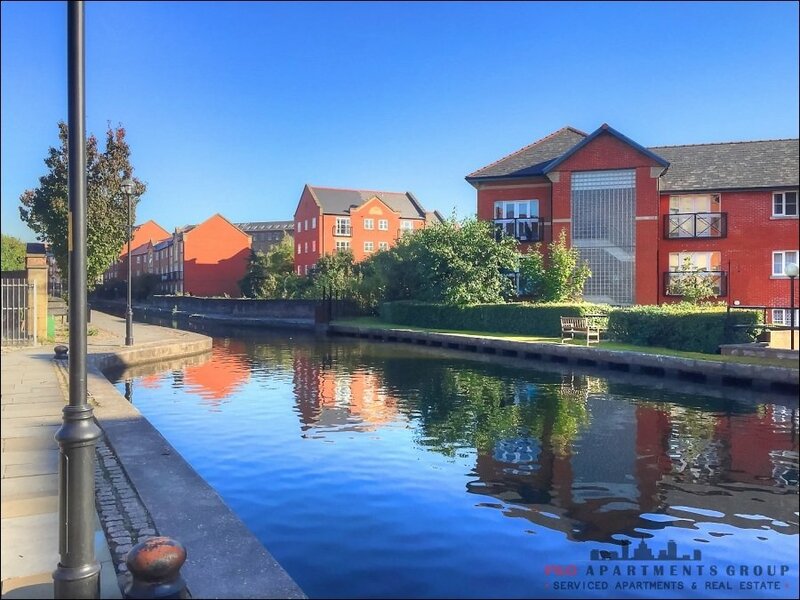 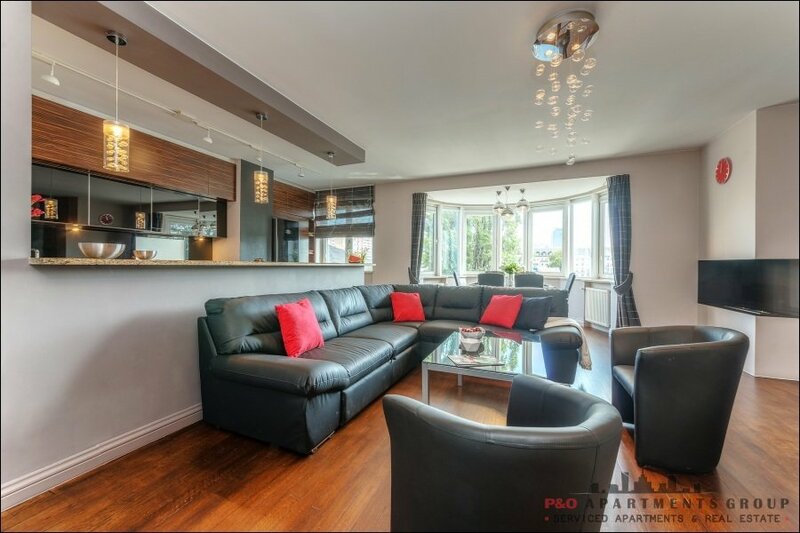 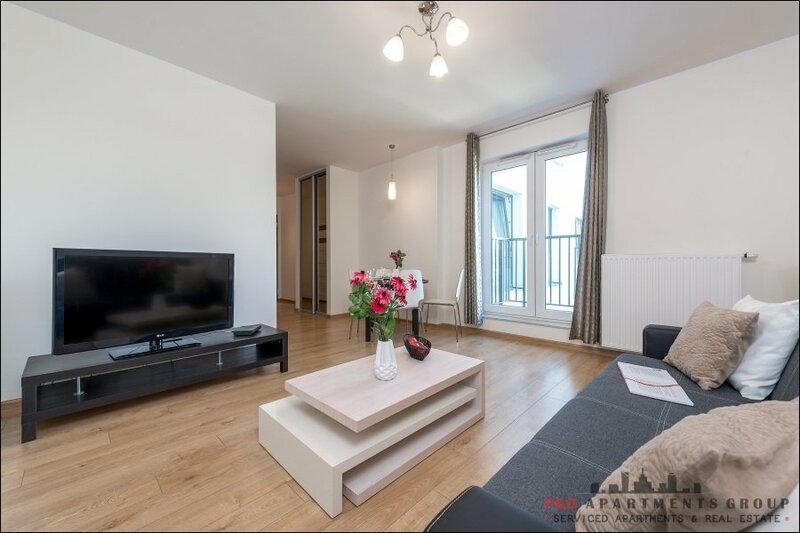 Comfortable 2 bedroom apartment on the 3rd floor, in a great location. 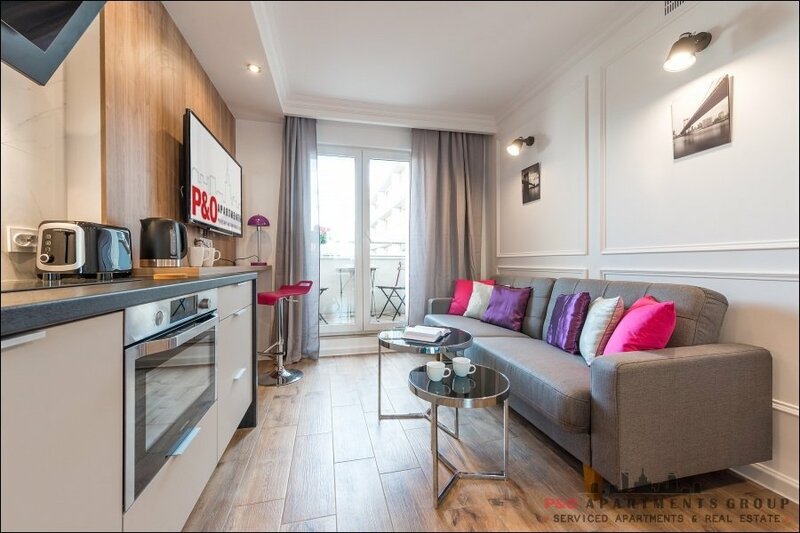 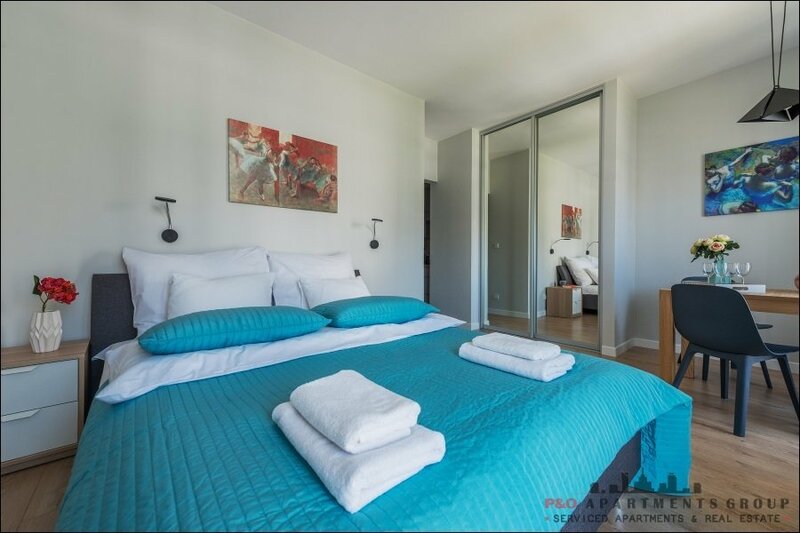 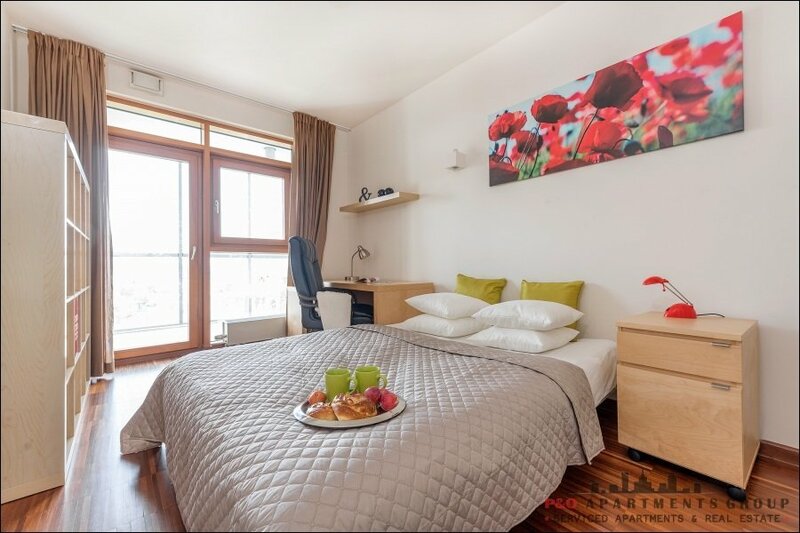 The apartment has a living room with access to the terrace, bedroom, fully equipped bathroom. 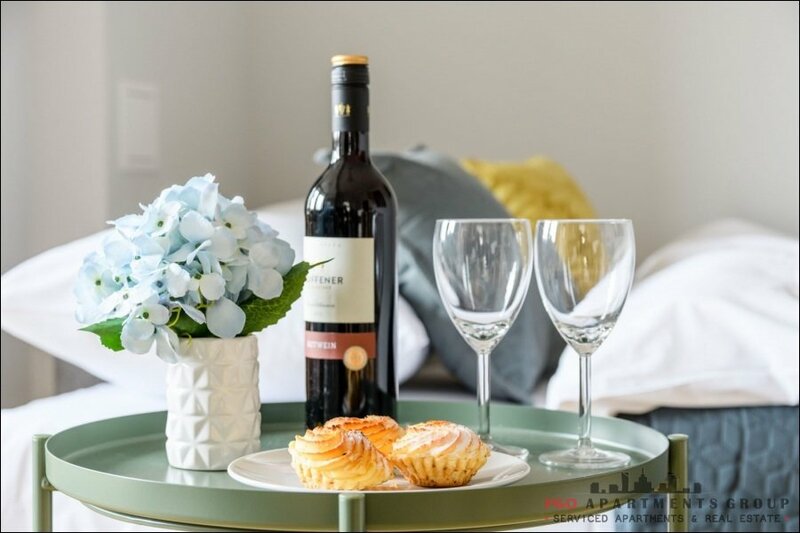 The windows are overlooking the patio will ensure you peace and quiet, while functional, modern and funly decorated interior will provide the convenience of your stay. 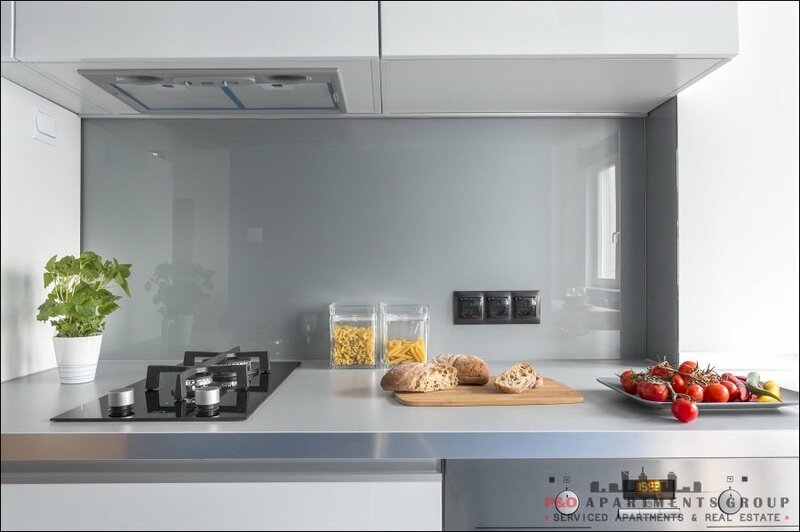 A fully equipped kitchen, including a dishwasher and oven, will allow you to prepare meals. 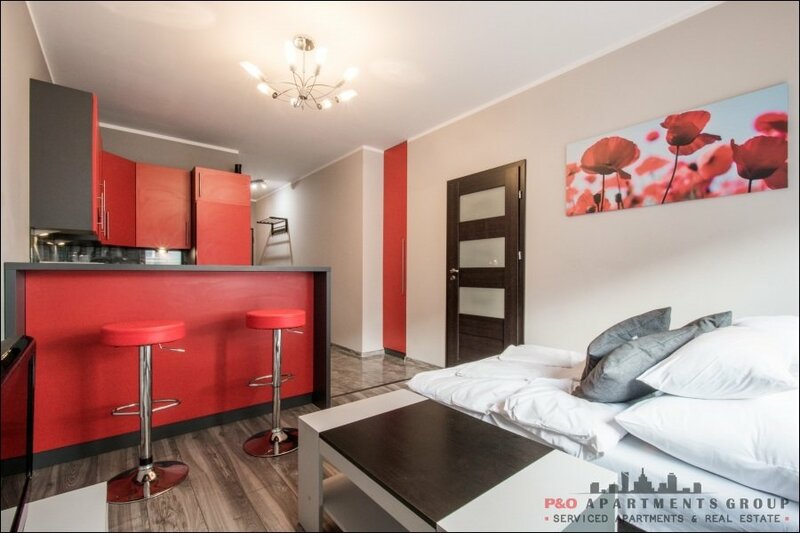 The apartment is fully equipped: ceramic hob, oven, fridge, dishwasher. 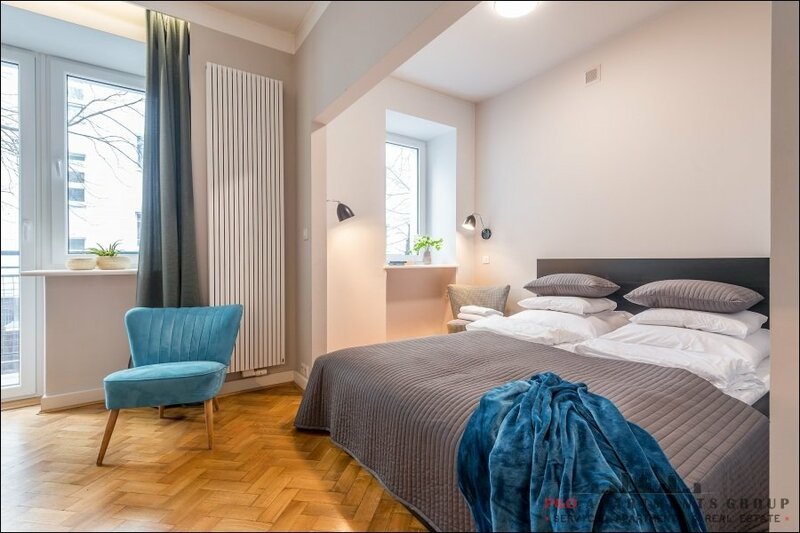 The bedroom has a double bed, in the living room sofa bed. 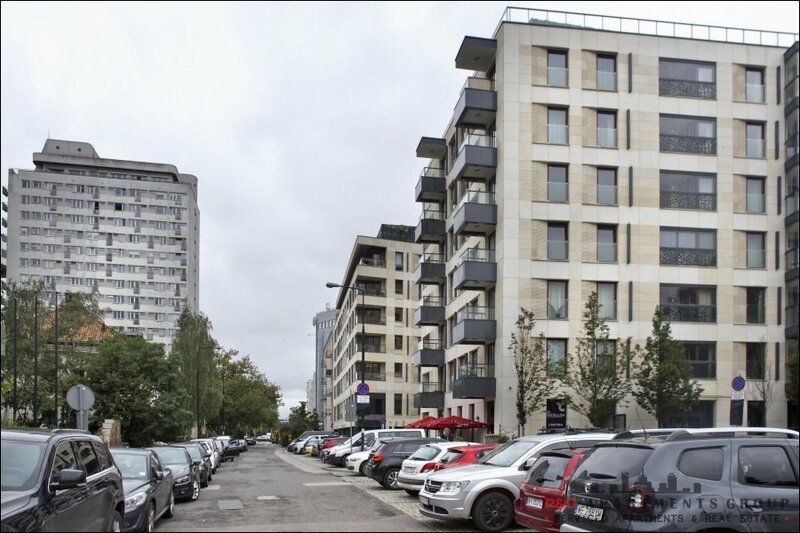 There is a parking place in the underground garage . 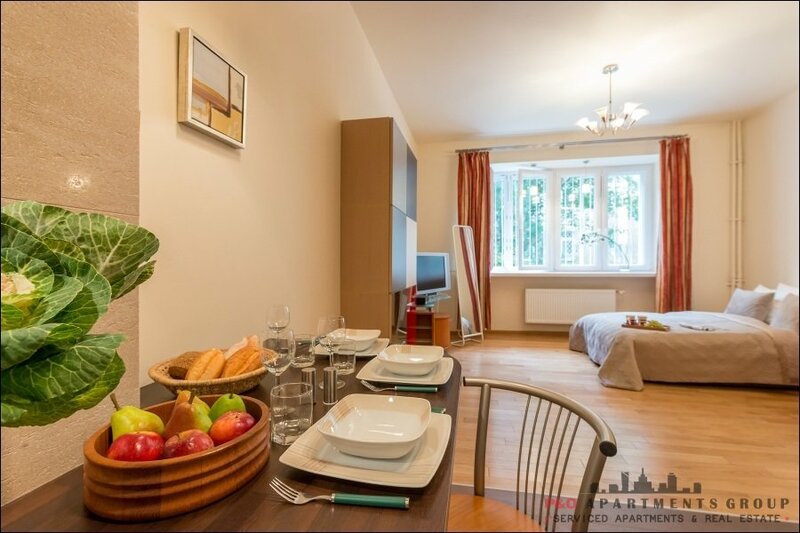 Very good communication to the center - numerous trams and buses, only 4 stops to Dworzec Gdański subway station. .
Kitchenette: fridge, dishwasher, oven, electric kettle, cutlery, crockery, ceramic hob. 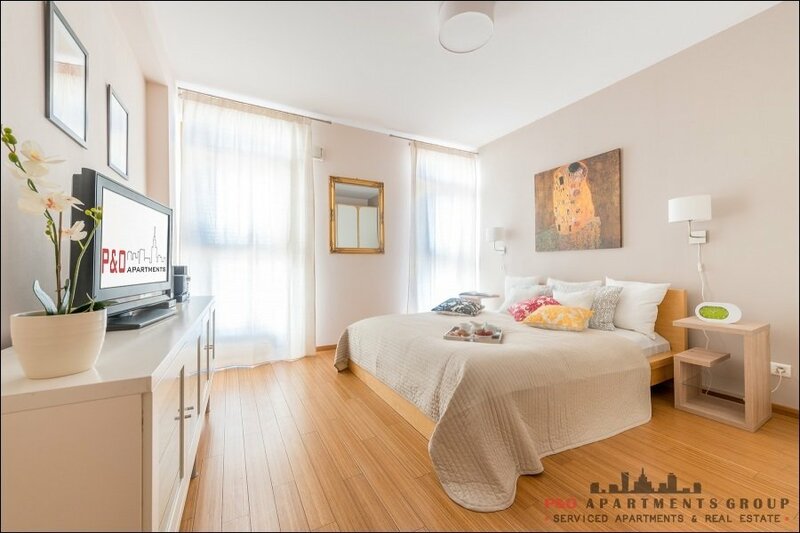 And: hairdryer, iron, ironing board, linen and towels set, soap and cleaning kit, vacuum cleaner. 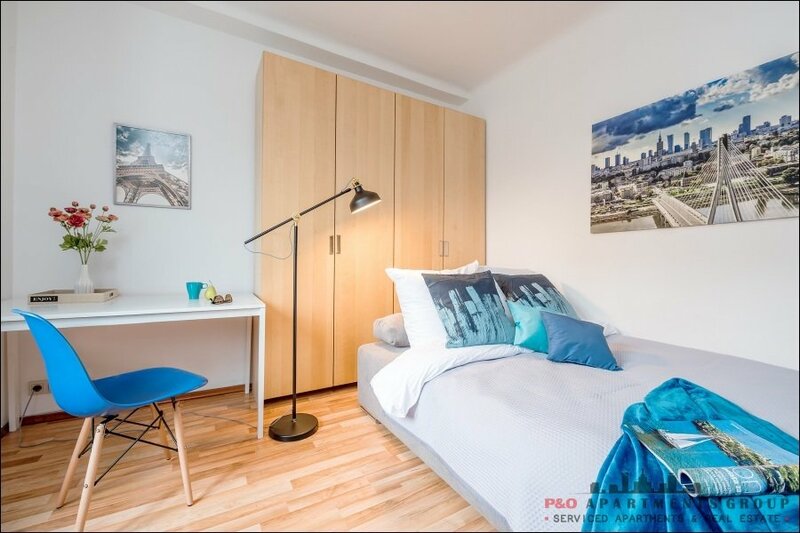 There is a parking place included in price! 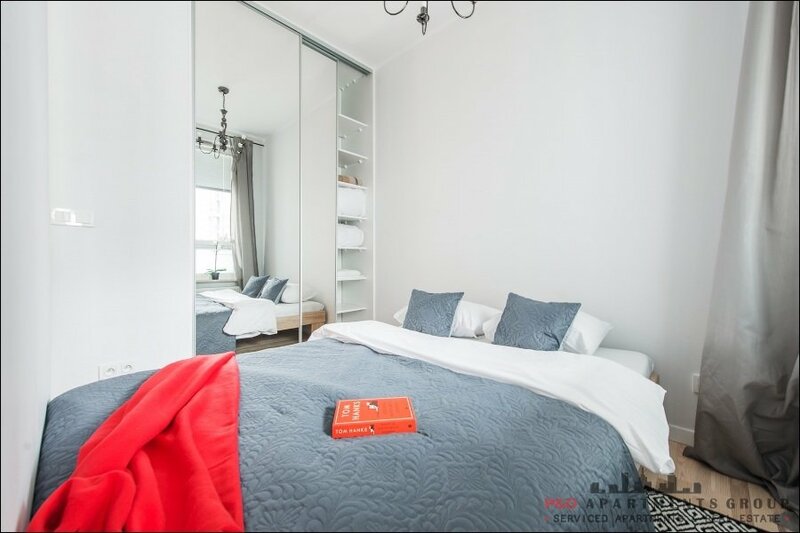 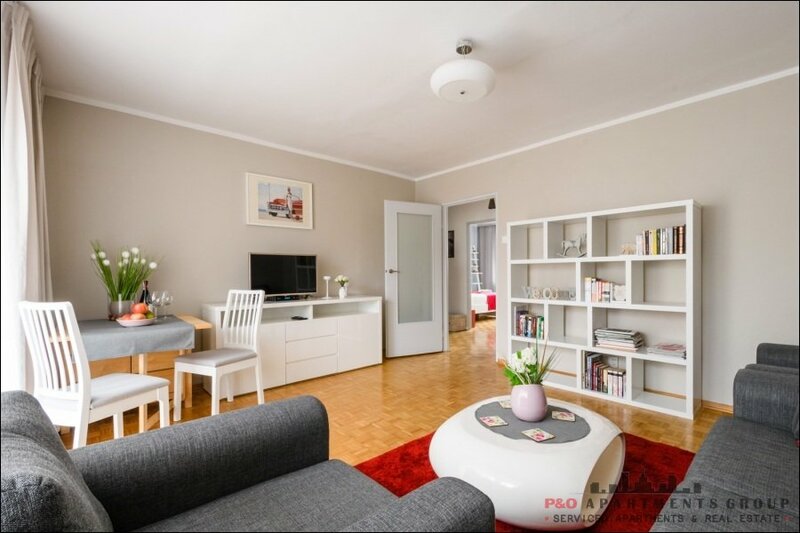 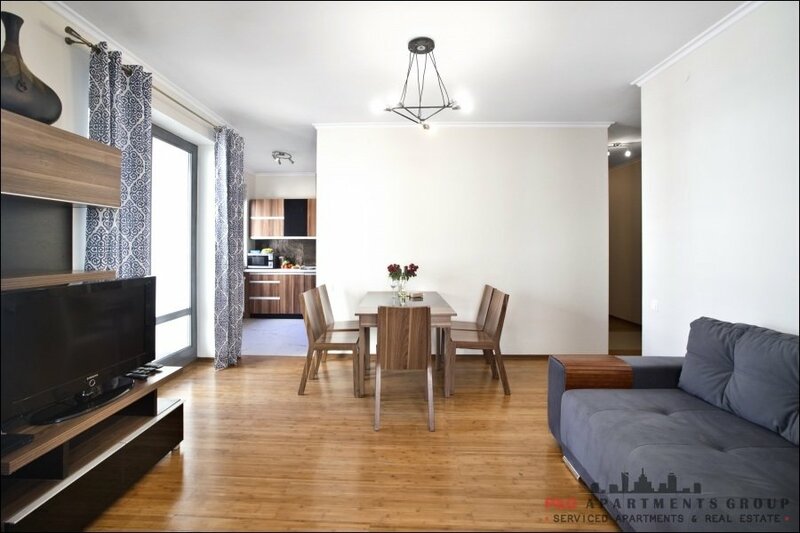 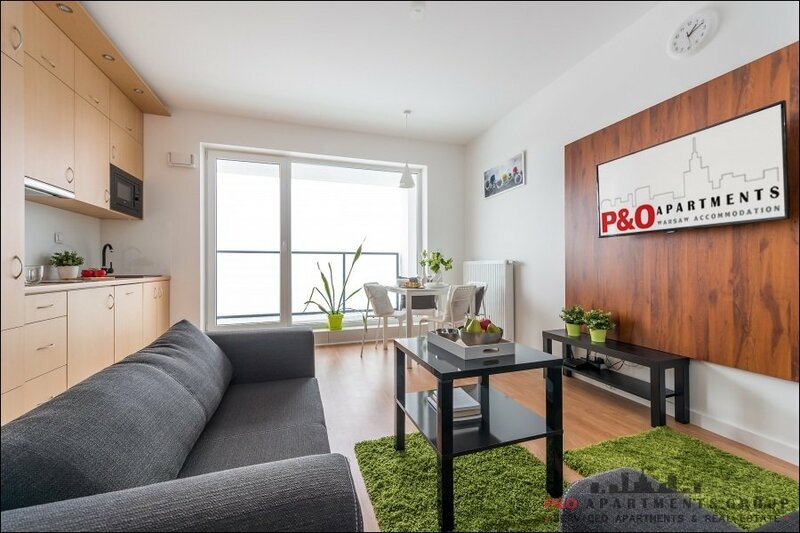 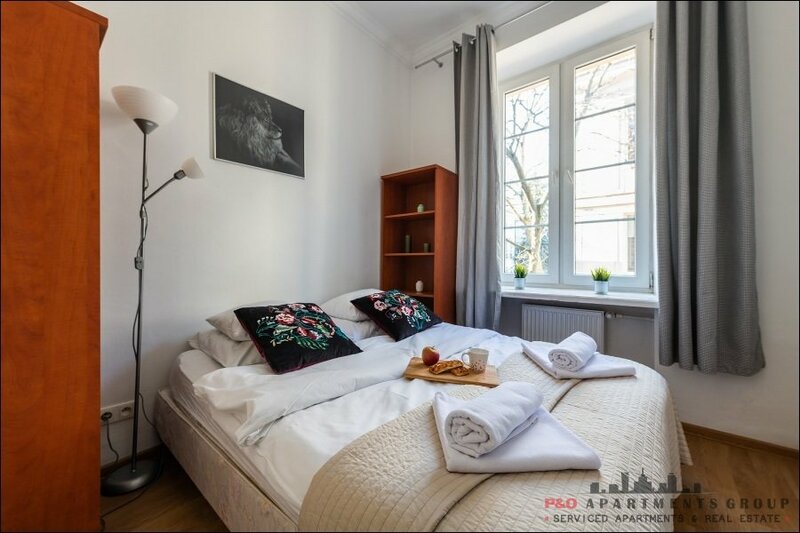 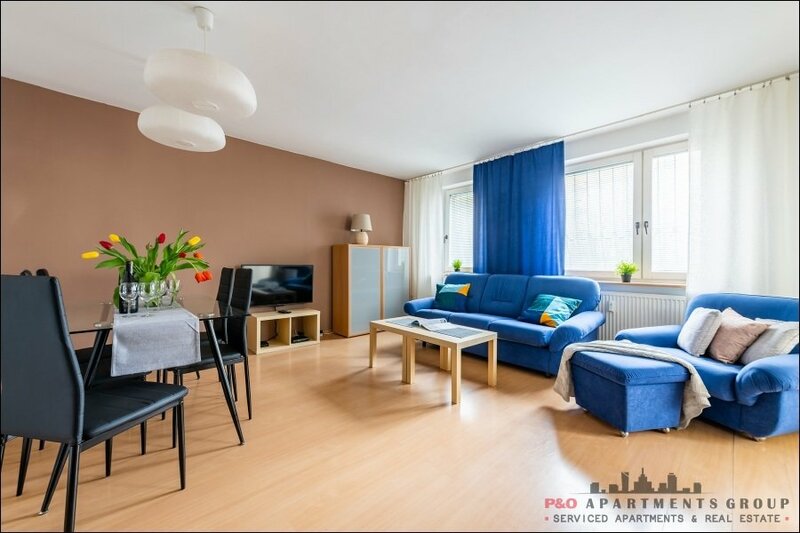 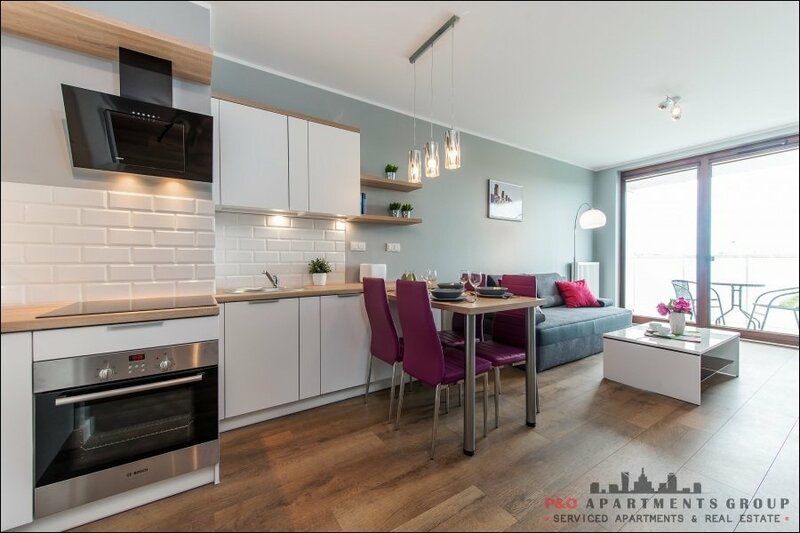 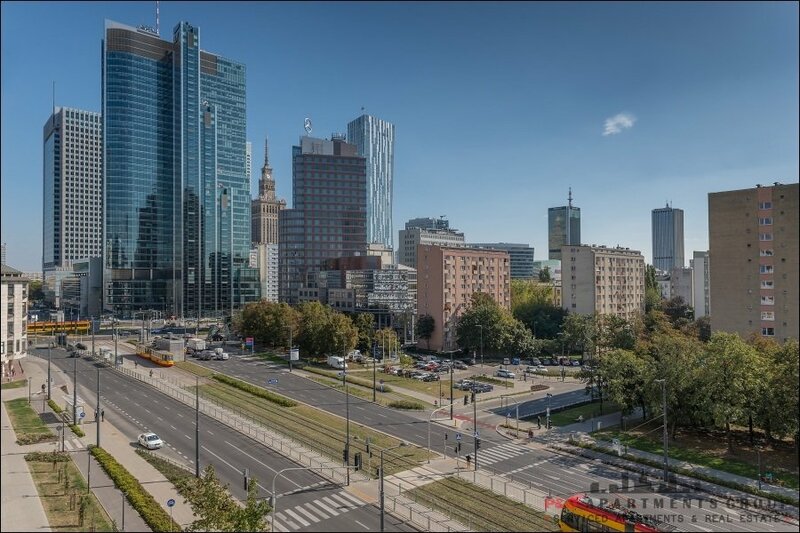 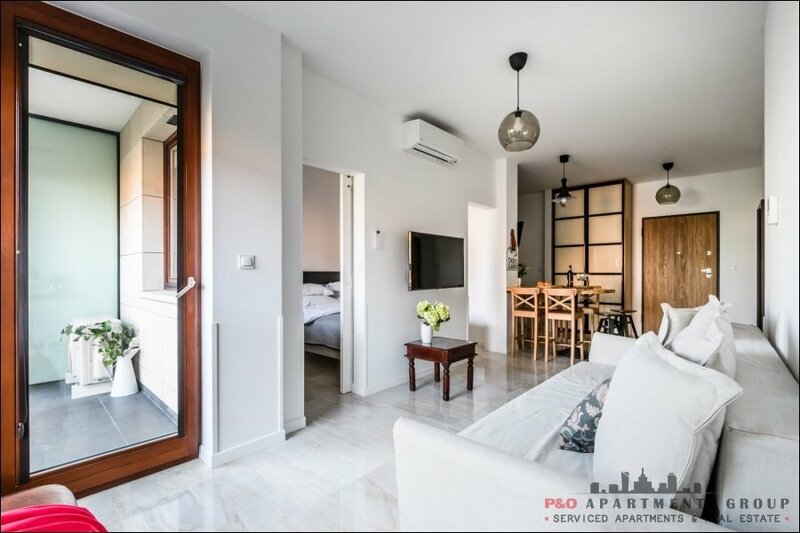 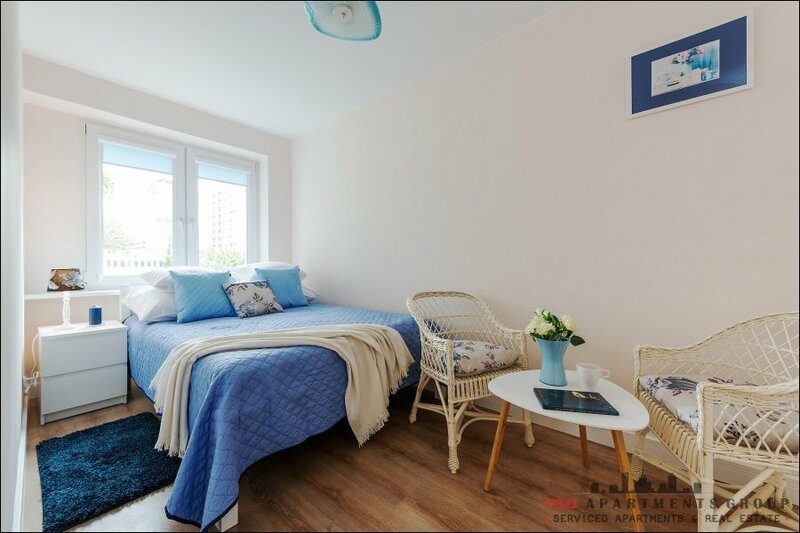 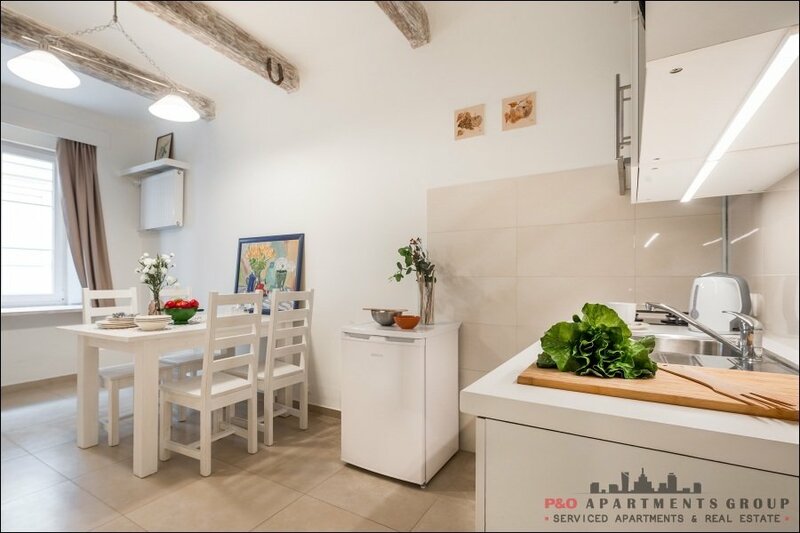 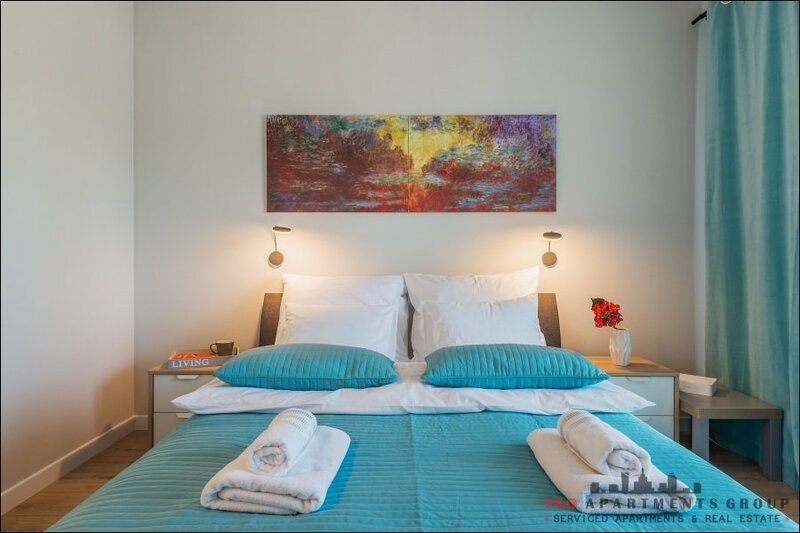 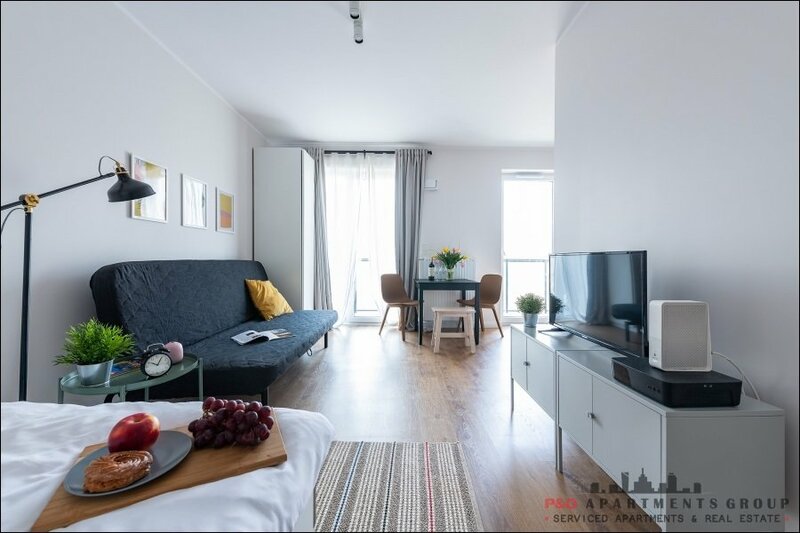 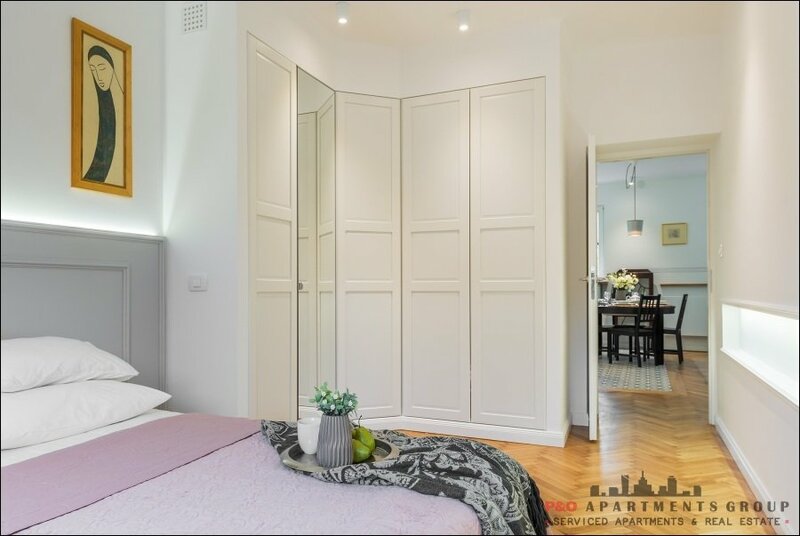 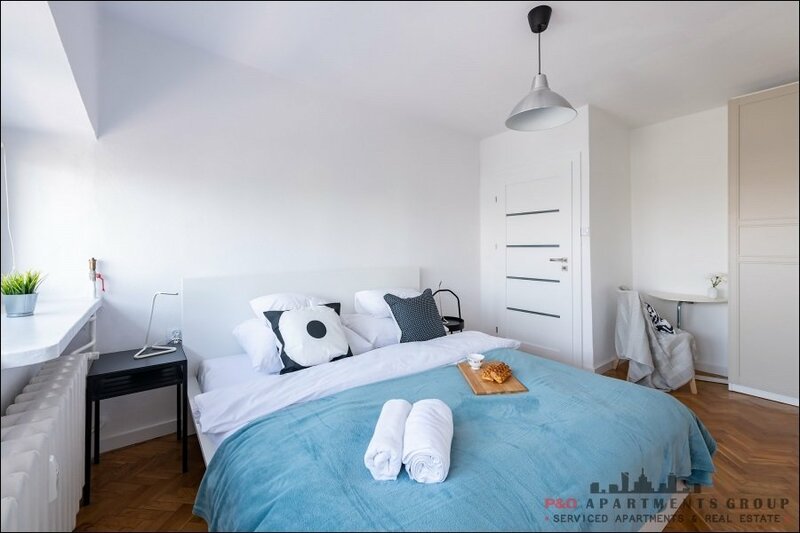 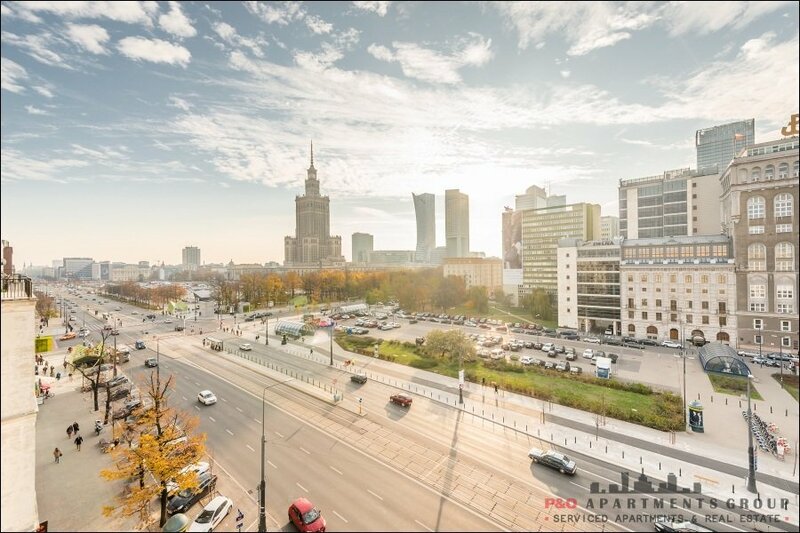 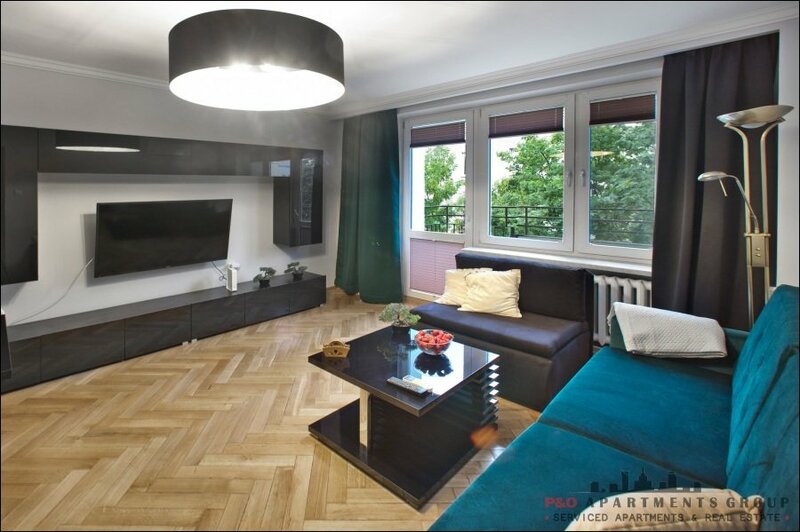 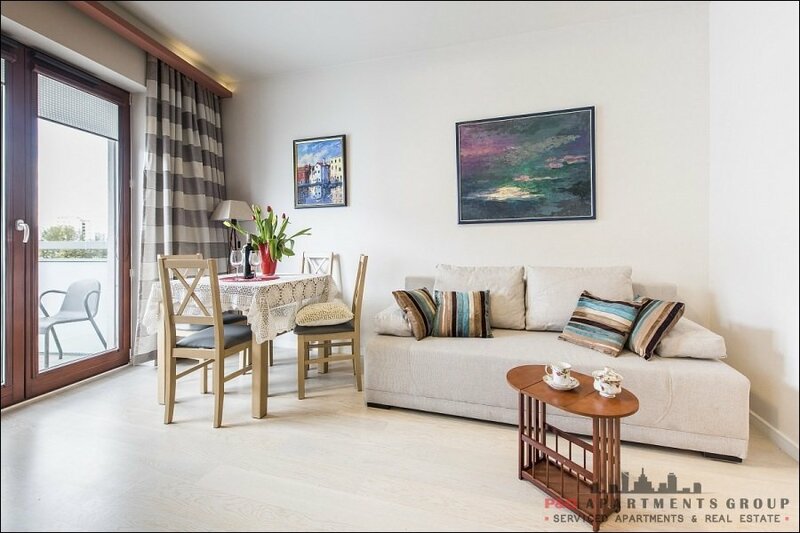 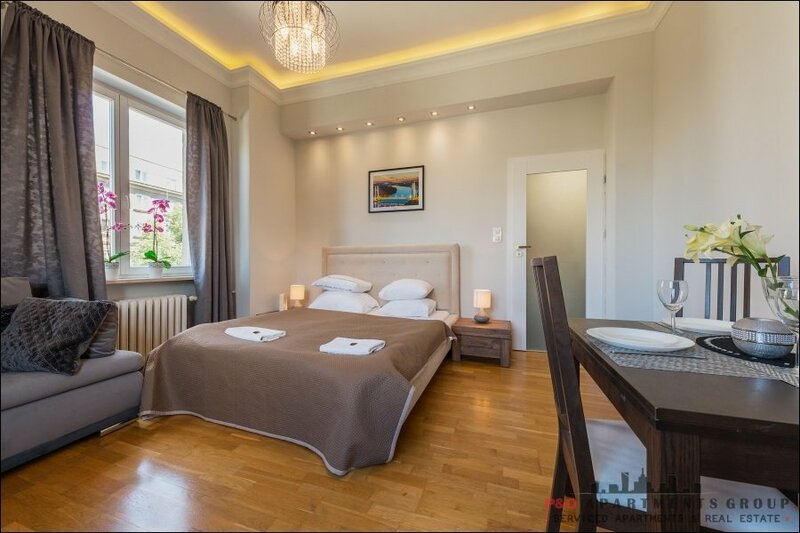 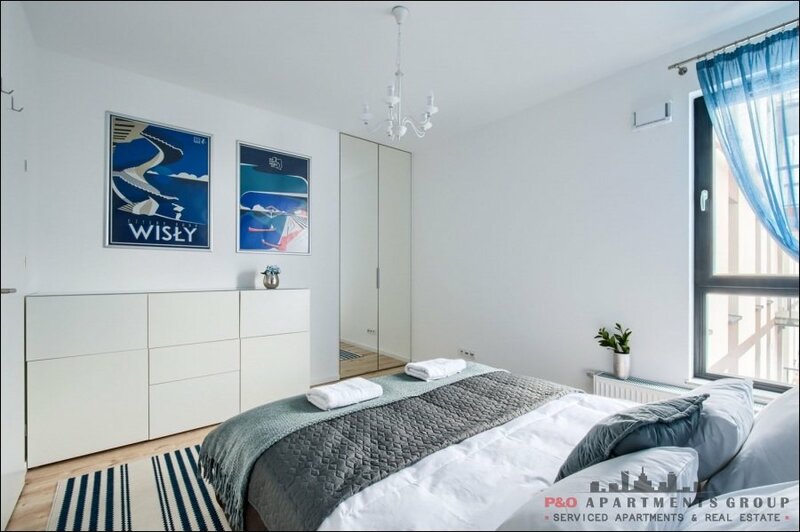 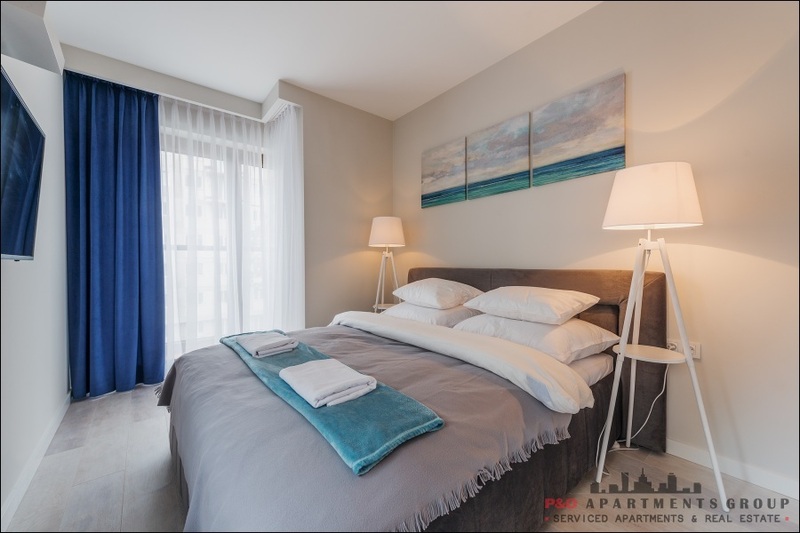 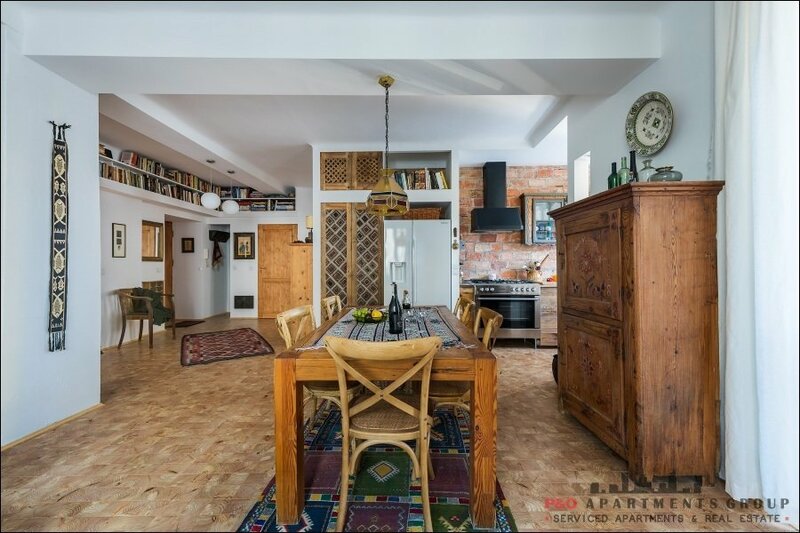 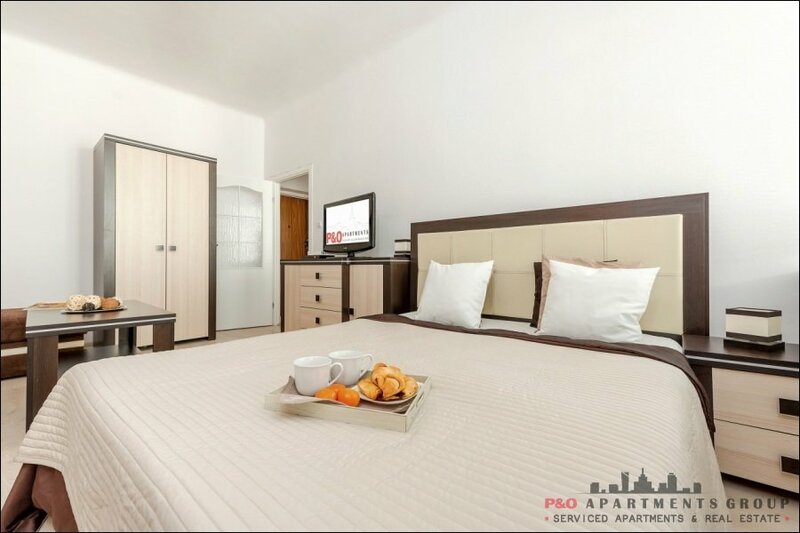 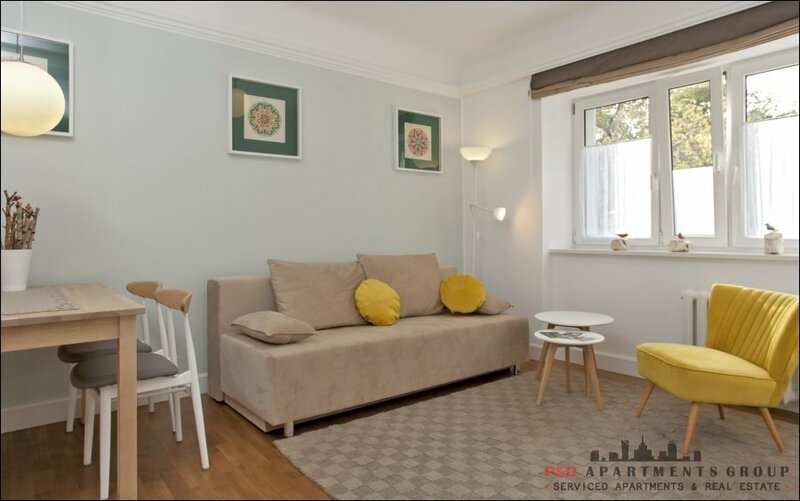 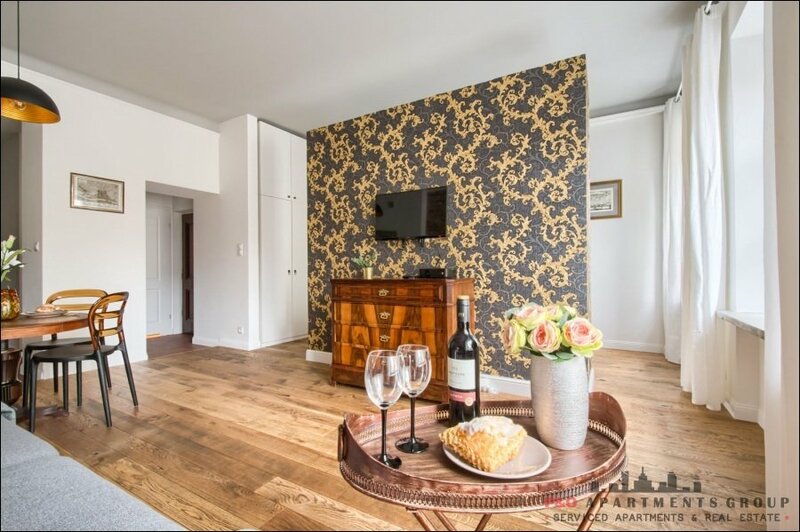 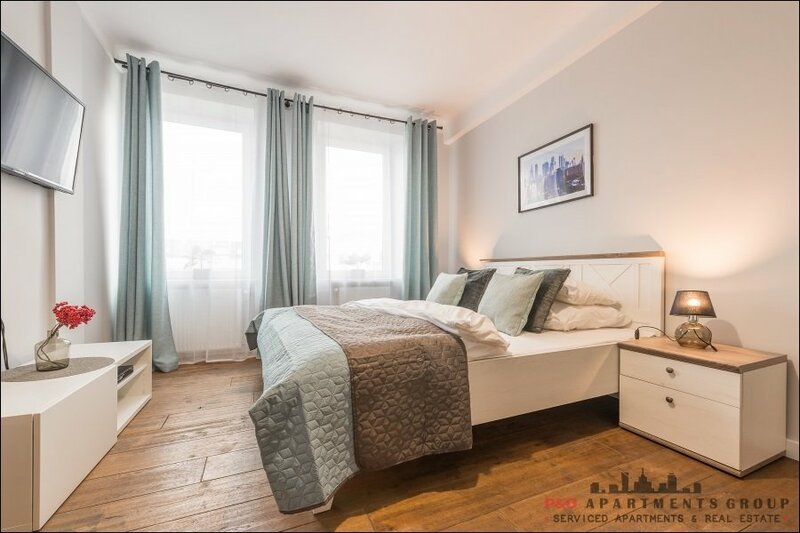 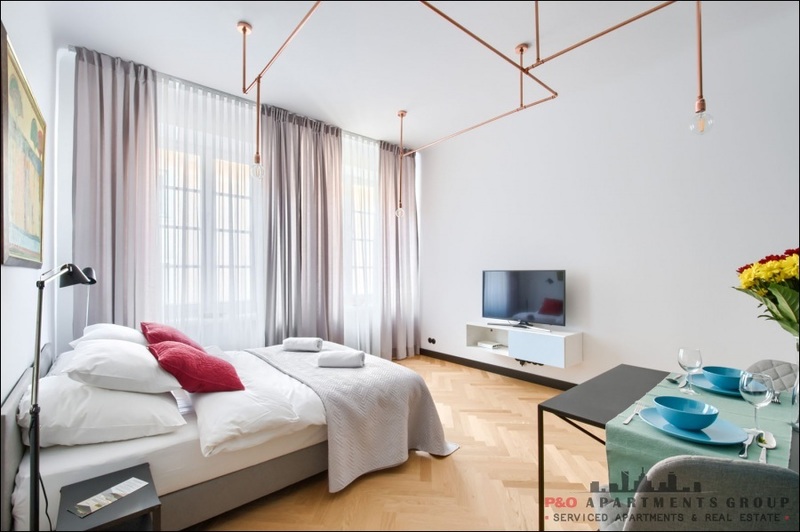 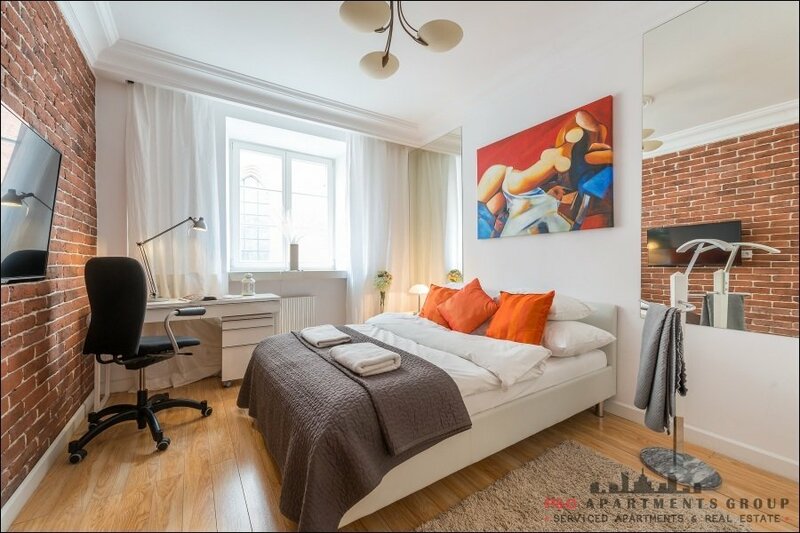 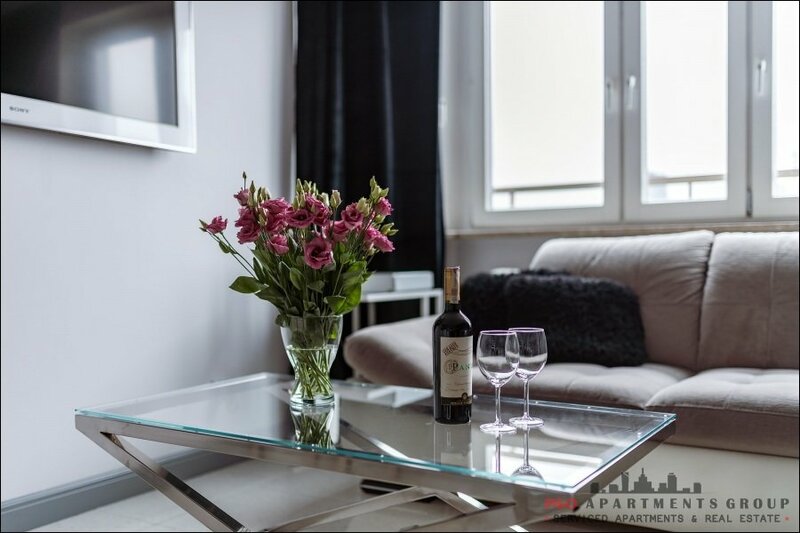 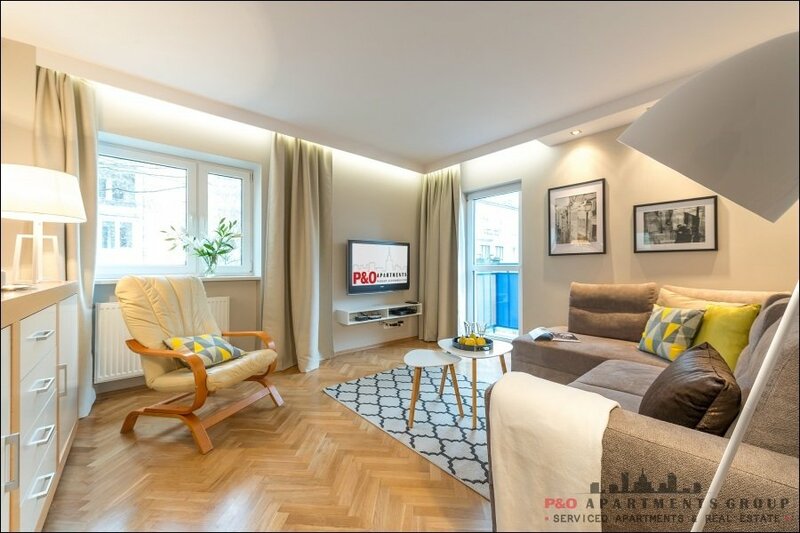 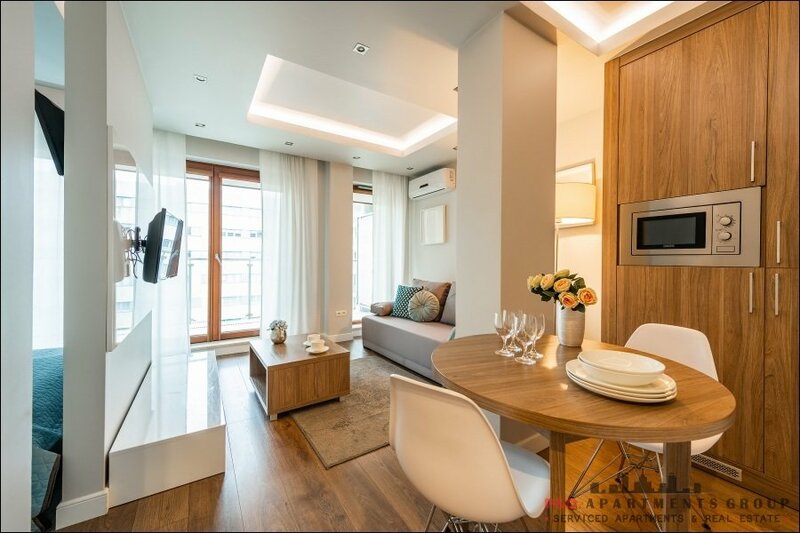 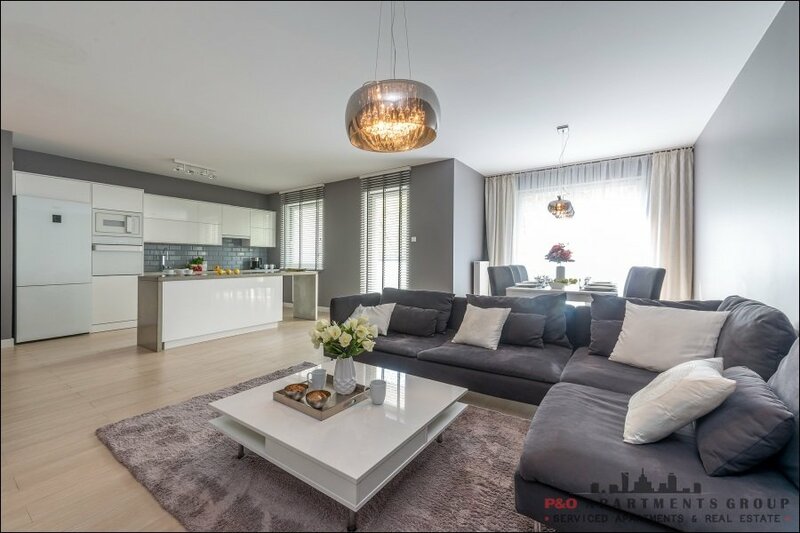 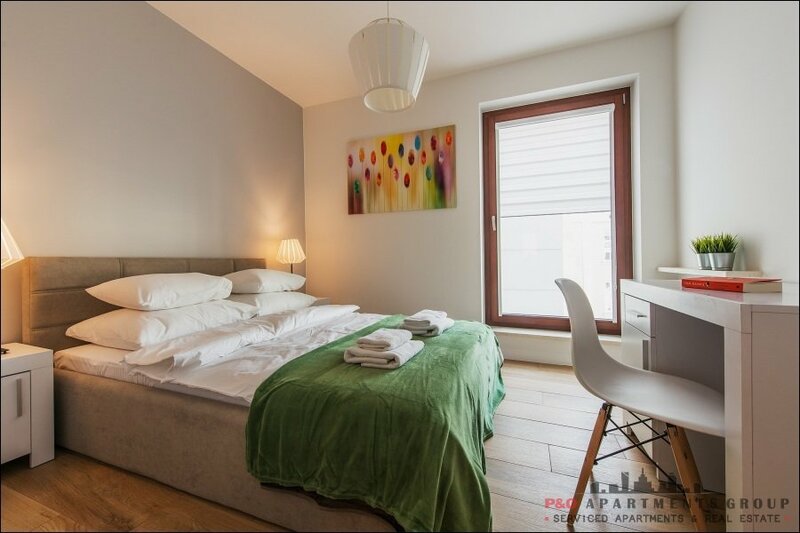 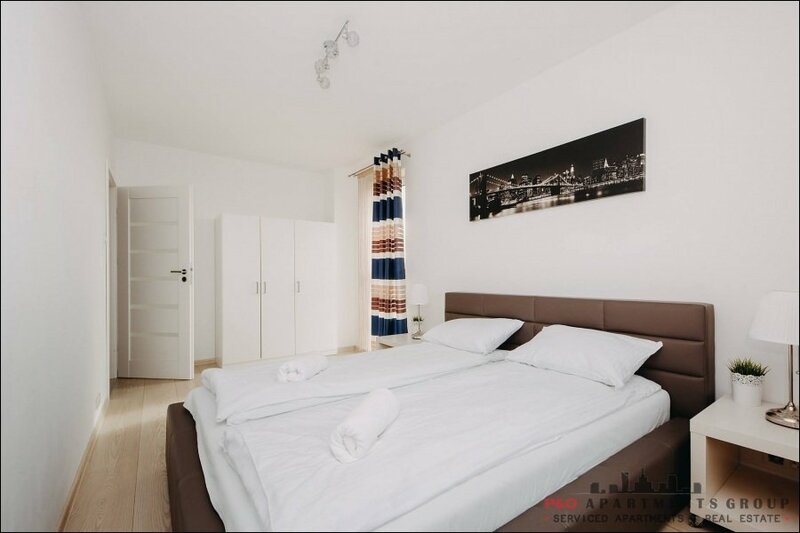 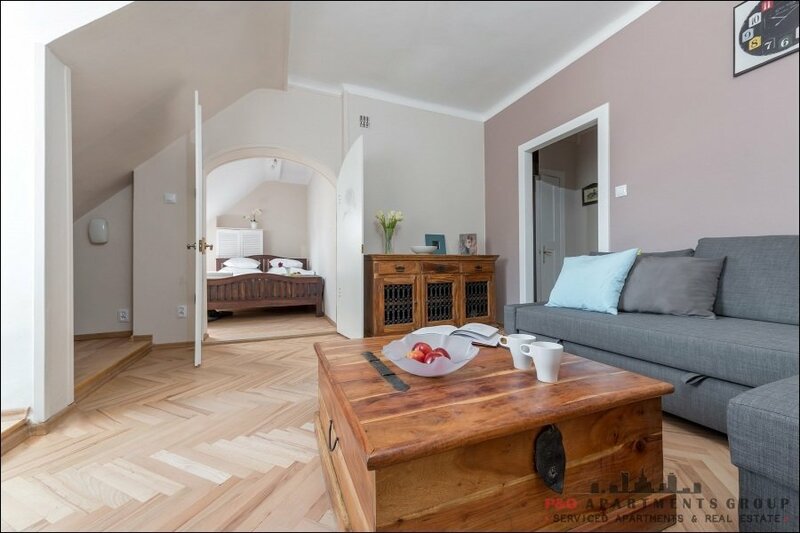 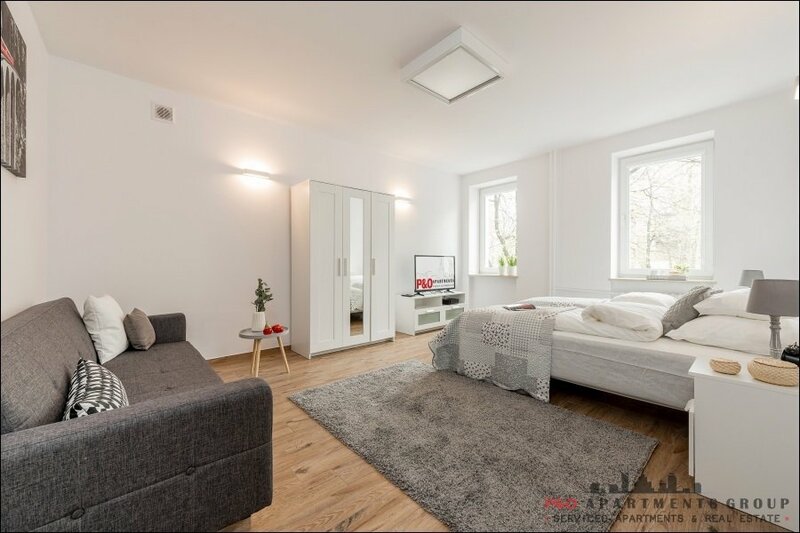 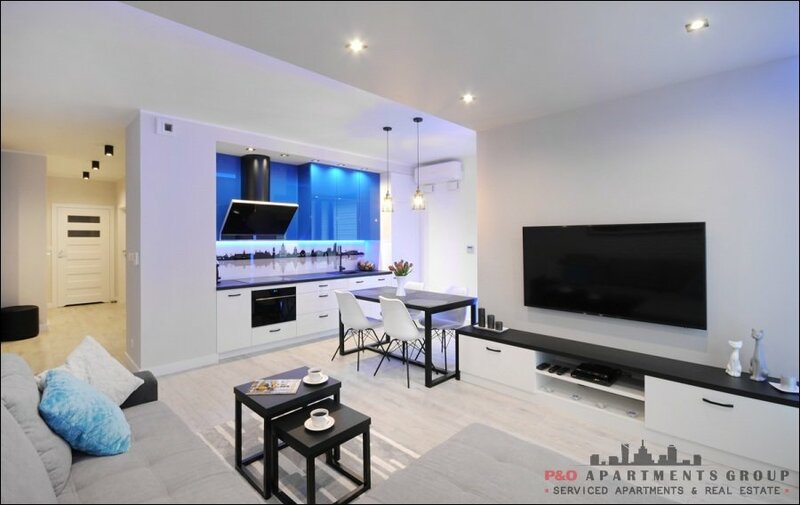 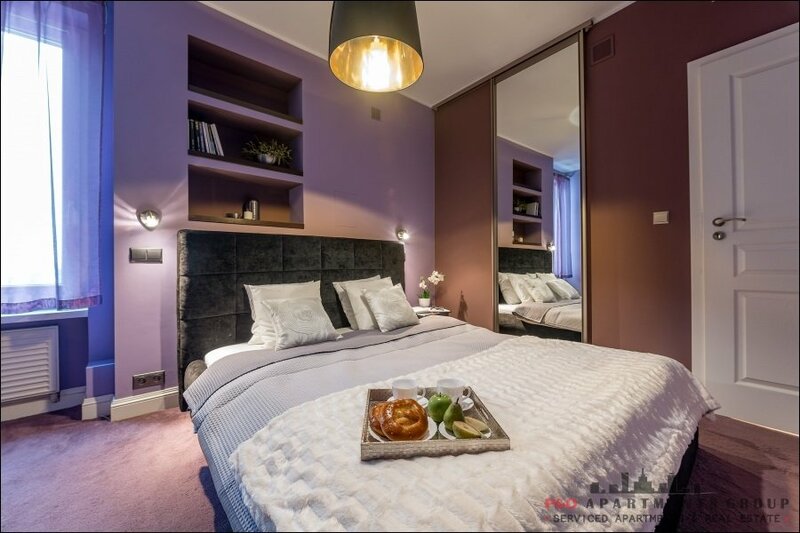 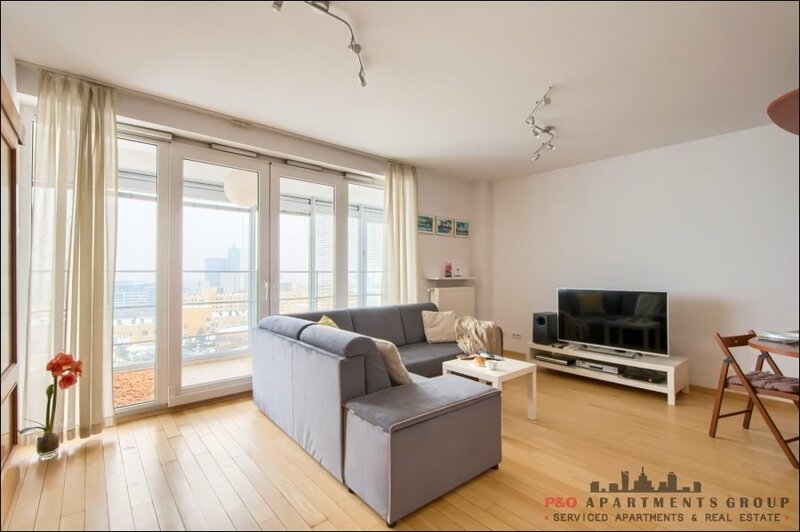 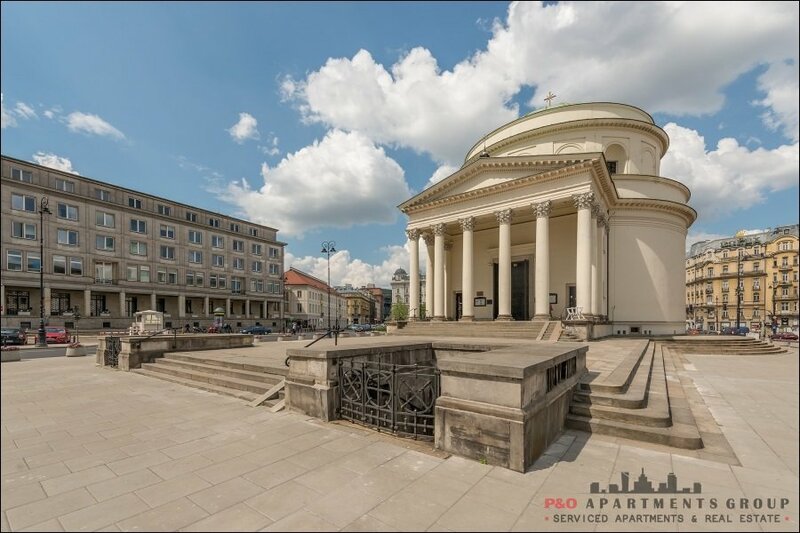 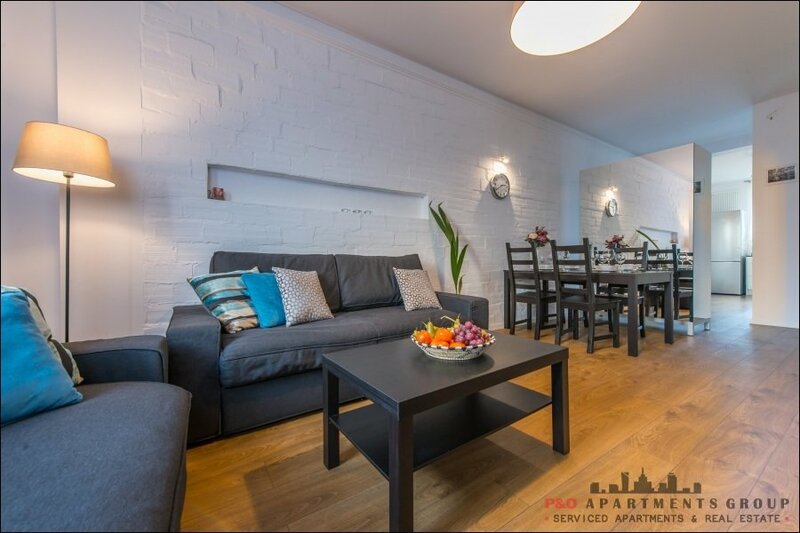 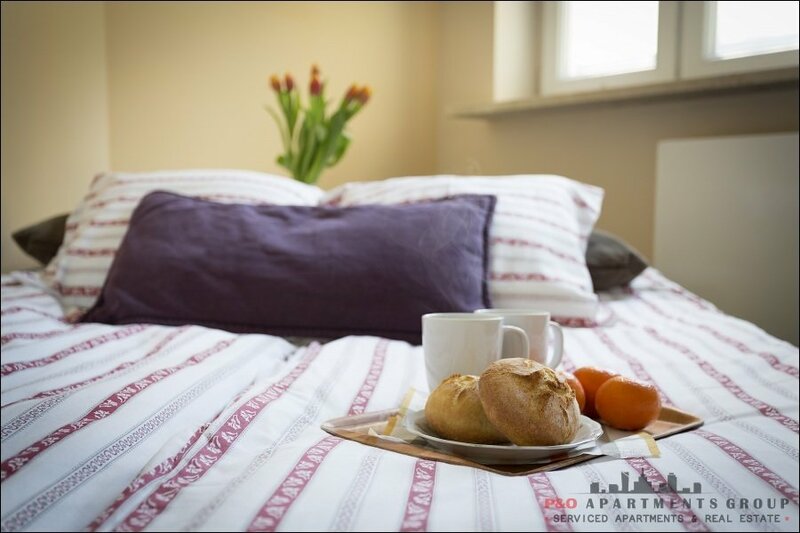 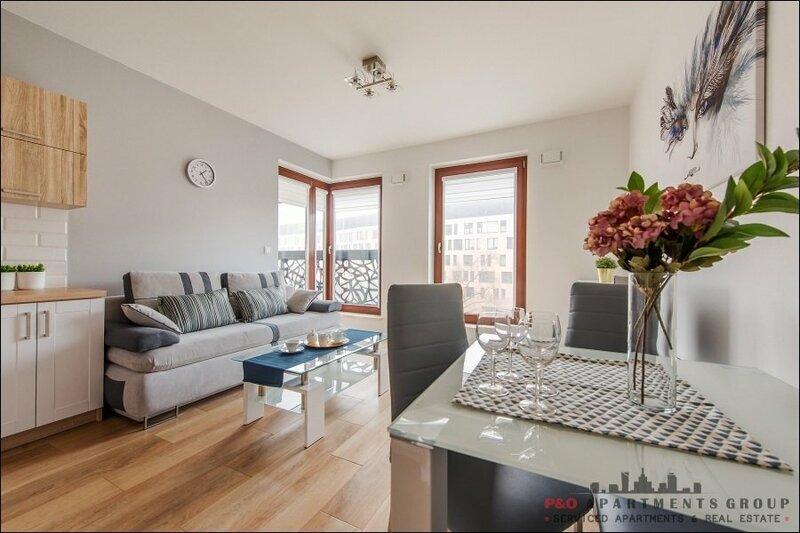 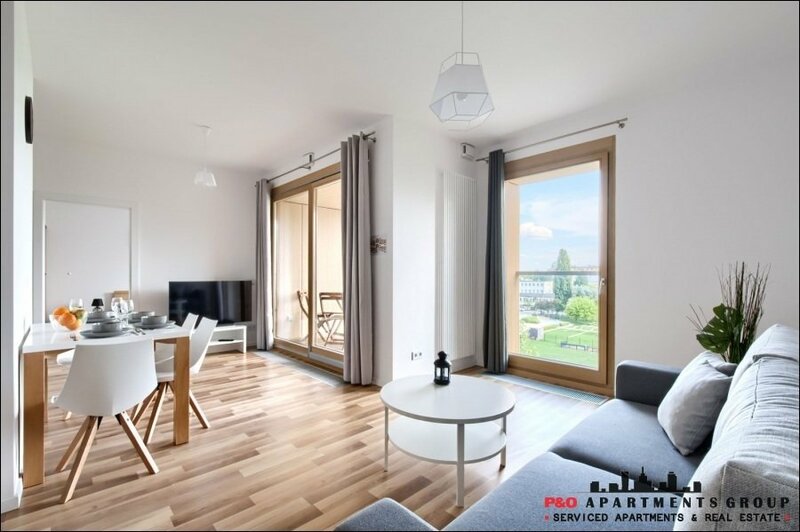 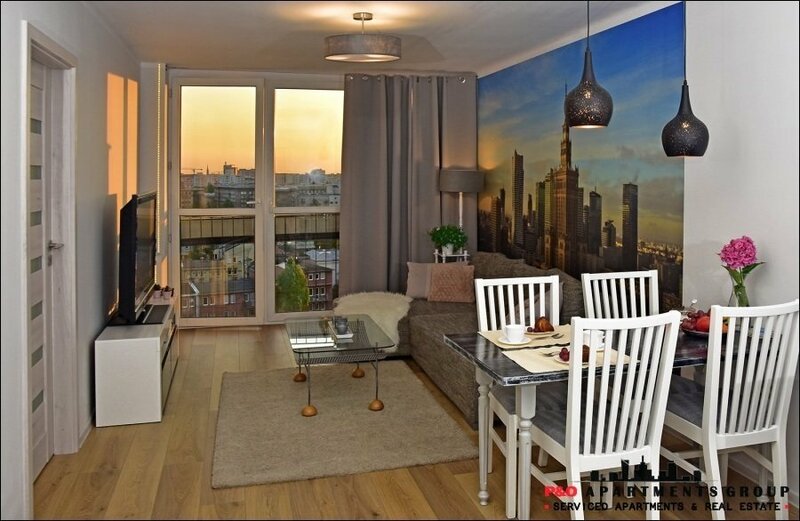 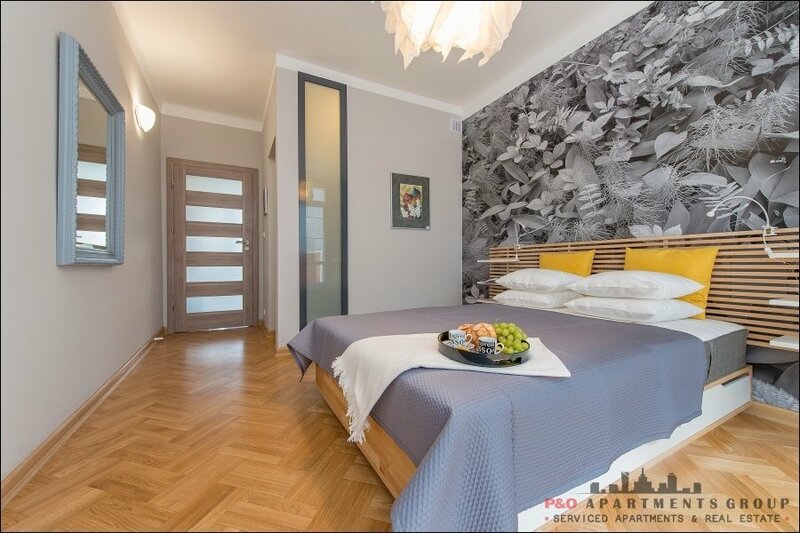 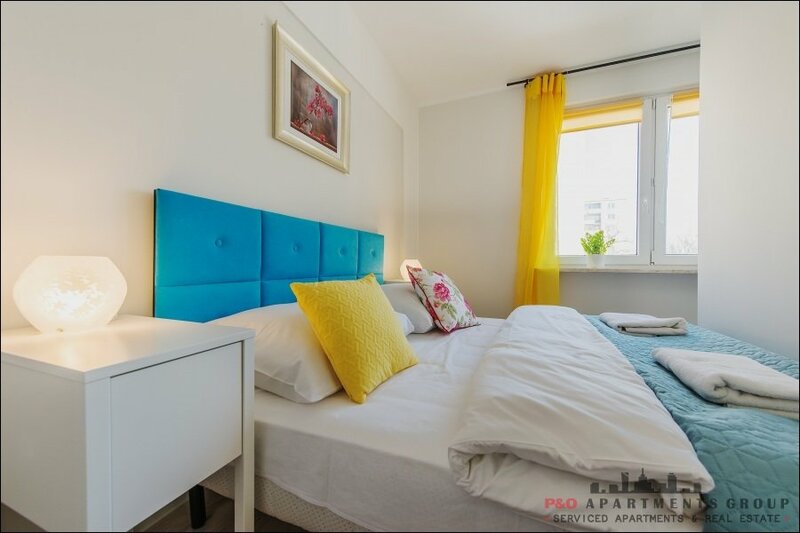 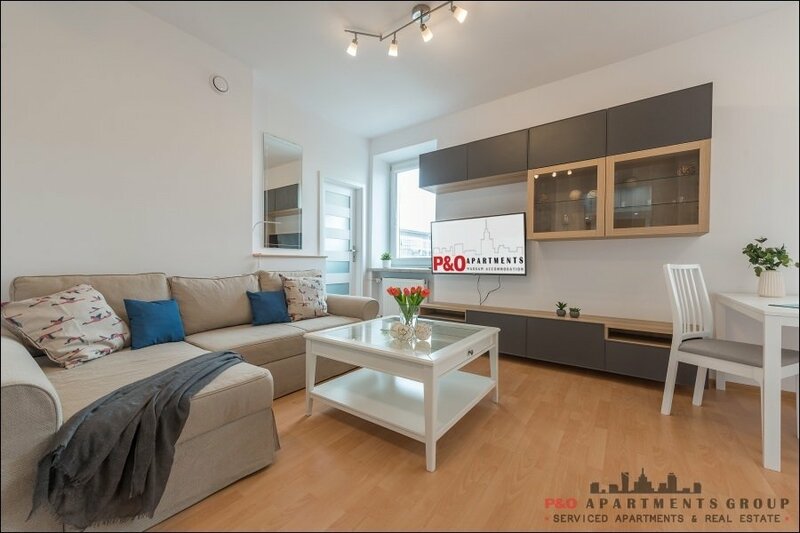 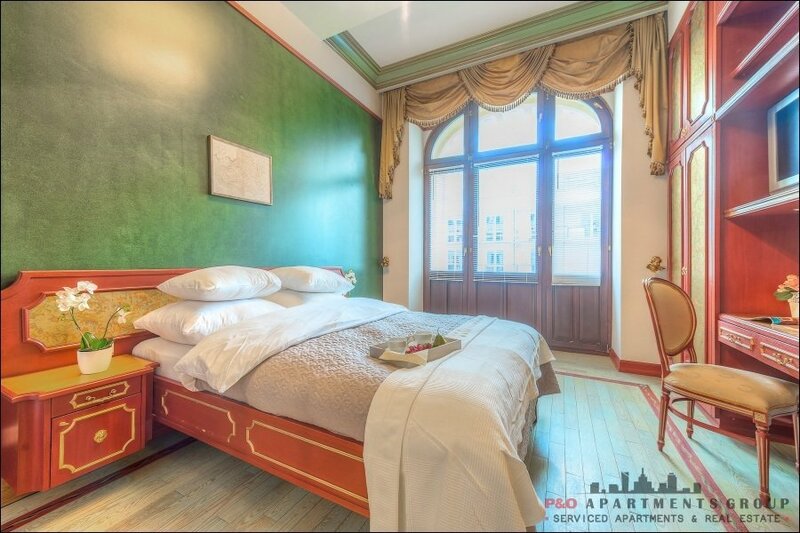 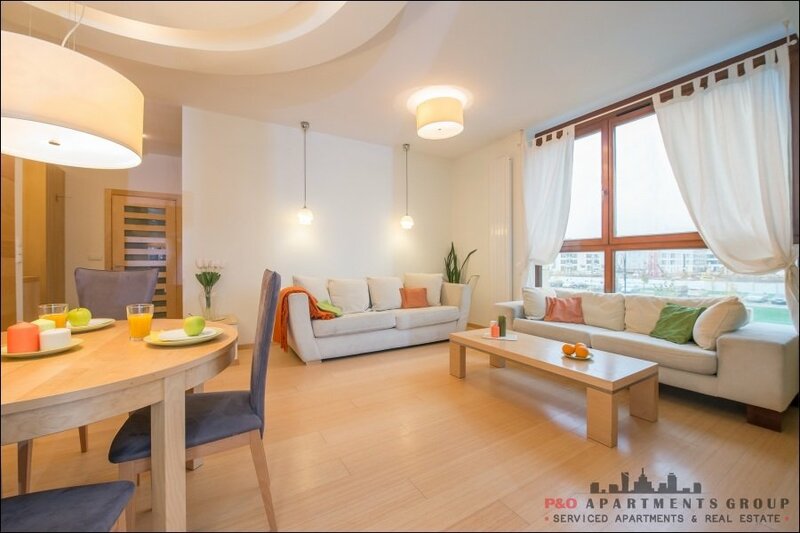 The apartment is located near the Old Town and the center of Warsaw, near the "ARKADIA" Shopping and Entertainment Center. 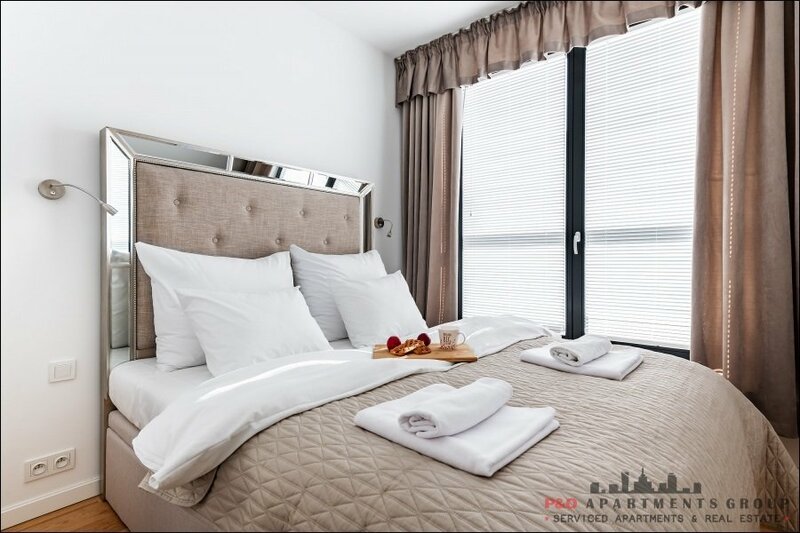 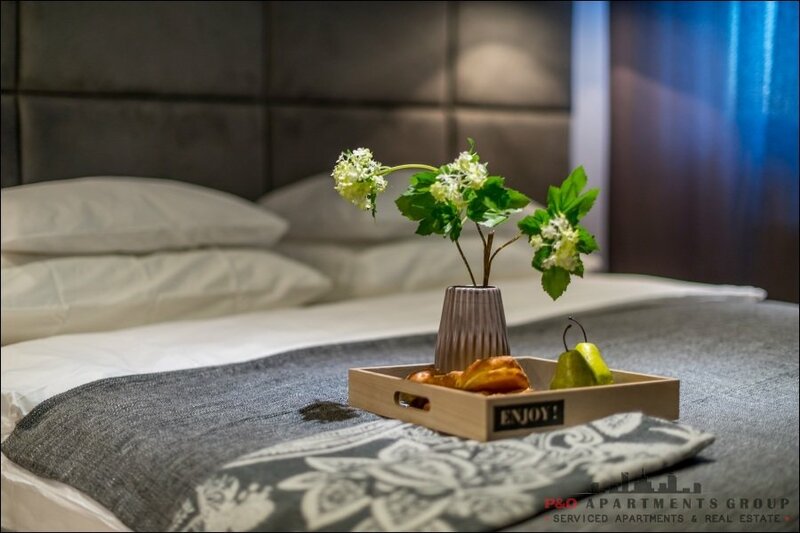 Good location, comfort of the apartment and a warm welcome addressed to our guests will certainly make your stay in Warsaw unforgettable.